On track for it’s February 2013 release. Fans of Aliens Colonial Marines should be excited over this. The game has just gone gold. Gearbox Software and Sega have announced that the game is on track for it’s February release date. “Today, we’re proud to announce that we hit every one of those targets, with the game’s gold status indicating that all parties have examined the release candidate and signed off on the code as final and suitable for manufacturing, after which the game will be shipped to retail and propped to digital networks in time for launch on PC, PlayStation 3 and Xbox 360 come February 12, 2013,” they stated on GearBox Software’s website. Personally, I am not sure how this game will turn out to be. But regardless, stay tuned for our full review. In related news, EuroGamer reports that Aliens Colonial Marines will be coming to the Wii U. It could get released at any time till the end of March. 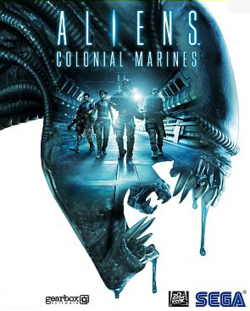 Given how strong 3rd party support has been for the Wii U, it’s no surprise that Aliens Colonial Marines is making a new home there. But how it will utilize Wii U’s features remains to be seen. The Wii U version will not be developed by Gearbox but by Demiurge Studios. For more details on the game check out our hub page over here. Stay tuned for more news and updates.